Security Expert Centre » Comments → Is a repetition of the Bosnian War real? HOMECommentsIs a repetition of the Bosnian War real? Comments → Is a repetition of the Bosnian War real? While staying at the territory of one of the most affected by the war countries of the former Yugoslavia, you begin to realize that, despite the 25-year-old distance in time, the repetition of those events is real. Bosnia and Herzegovina consists of two parts: the Federation of Bosnia and Herzegovina (which has 10 cantons in its composition) and the Republika Srpska. Such a structure was consolidated by the Dayton Agreement or the General Framework Agreement for Peace in Bosnia and Herzegovina dated 14 December 1995, the annexe to which was the new constitution. The war on the Balkan Peninsula started in 1991 in Slovenia (by the way, the country that was the least affected) and actually ended in the early 2000s with the end of the war in Kosovo and the conflict in Macedonia. The most brutal peak war had in 1992-1995 in Bosnia and Herzegovina, where according to various sources, the number of victims was about 120 thousand. Almost half of the victims were Bosnian Muslims who were held in concentration camps, subjected to torture and inhumane treatment and mass shootings (as an example - genocide in Srebrenica in 1995). The reasons for such atrocities are still not known. According to Kemal Pervanich, who spent seven months in one of the largest concentration camps in Bosnia, the guards at the camp were Serbs with whom he attended school or who were his teachers - "I was subjected to torture by one of the guards simply because I was playing against him basketball at school”. 23 years after the end of the war, the situation in the country is still tense. The fact that Bosnia has not yet become the united country can be convinced while entering the territory of the Republika Srpska. 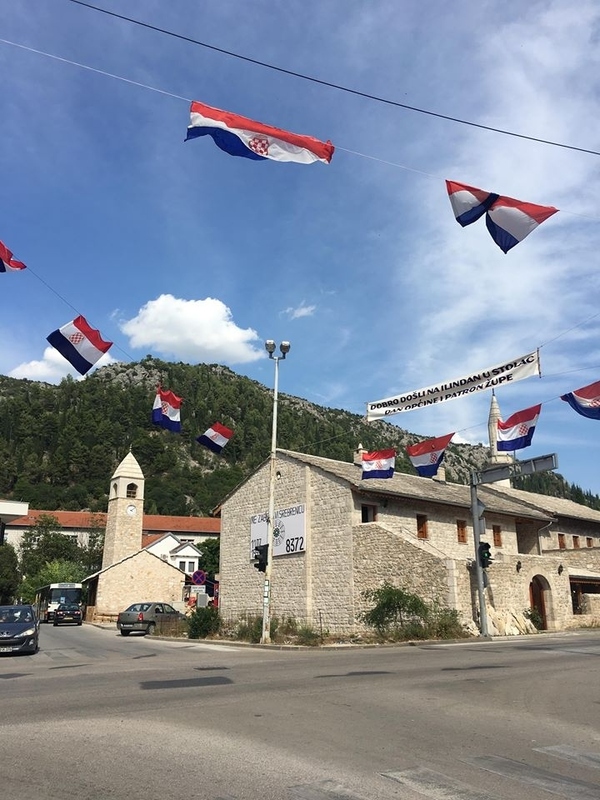 First of all, in each city or town of this Republic Serbian flags are visible. There are universities, which Bosnian students do not attend; there is a completely autonomous local government and administration. This territory is "known" to the fact that there were some of the most mass tortures and murders, and as a result, largest mass graves were found. Today about 62% of young people in Republika Srpska are unemployed. It is worth noting that this youth was or is serving in the army. In addition, it should be borne in mind that the local channels belong to the authorities that deny genocide and crimes against humanity that took place in the early 1990s. Of course, there are a lot of local initiatives aimed at building a dialogue between local Serbs, Croats and Bosnians, but the situation is still tense due to the desire of the victims to know the truth, to find the remains of the dead relatives and to bring perpetrators to justice. The conclusion that can be made - the threat of recurrence of at least internal conflict (civil war) is quite real. What consequences for Ukraine could have a potential tension in the situation in Bosnia? At the very least - delay in the process of joining the EU. According to Doris Pack (German politician, president of the Women European People's Party and former Member of the European Parliament, 1989-2014) - "The Balkans are interesting for the European Union because they are located in the heart of Europe. If there is no democracy here, then the EU is taking a step back in its policy. We are not against big neighbours (including Ukraine - the author's commentary), but it is more important for us to have stability and democracy in the heart of Europe. " In this way, the European Union is primarily focused on the integration of the Balkan countries, rather than on the further "eastward" expansion. However, to which extent the EU is ready to defend peace in the region and integrate the countries of the former Yugoslavia will be clear over time. But at the moment, I want to believe in the power of dialogue and reconciliation initiatives in the territory of the extremely beautiful Bosnia.